SAN JOSE, May 11 2015 (IPS) - After years of violence against two indigenous groups in Costa Rica, the Inter-American Commission on Human Rights (IACHR) demanded that the government adopt measures by May 15 to protect the life and physical integrity of the members of the two communities. 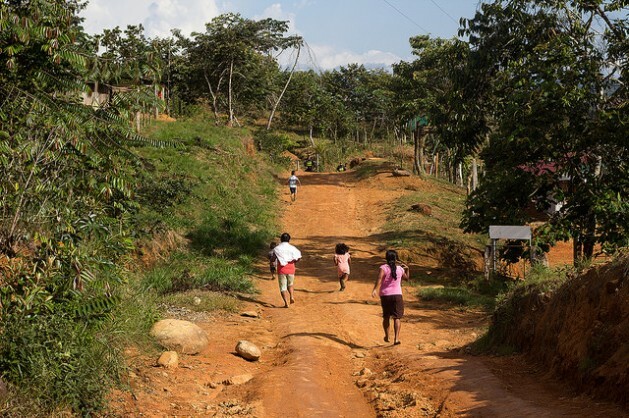 The IACHR granted precautionary measures in favour of the Bribri community living in the 11,700-hectare Salitre indigenous territory, who have been fighting for years to reclaim land that has been illegally occupied by landowners. “The law gives us the right to defend our claim to our territory, and one of the things it allows us to do is take back the land that is in the hands of non-indigenous people who are not living on it,” the leader of the community, Roxana Figueroa, told IPS. Besides seeking to protect the community of Salitre, the resolution is aimed at safeguarding the Teribe or Bröran community in Térraba, also in the southeast. Around 85 percent of the Teribe community’s land is occupied by non-indigenous people, which violates their collective title to their ancestral territory. Salitre, Térraba and the other 22 indigenous territories established in this Central American nation all share the same problem: the occupation of their land by non-indigenous landowners, in violation of international conventions and local legislation. Costa Rica’s indigenous law, in effect since 1977, declared native territories inalienable, indivisible, non-transferable and exclusive to the indigenous communities living there. Non-indigenous people “have come here to exploit nature and have occupied our lands or acquired them through fraudulent means from indigenous people,” said Figueroa, who spoke to IPS from a farm that the Bribri people managed to reclaim from a group of outsiders who had invaded it. There are very real reasons to be afraid. The violent incidents documented by the IACHR include a Jan. 5, 2013 machete attack on three unarmed indigenous men. One was also tortured with a hot iron rod; another was shot; and the third man nearly lost two fingers. In one of the latest incidents, a group of non-indigenous men sowed terror in Salitre, where they burnt down a house before fleeing – a common modus operandi of the thugs. The precautionary measures granted by the IACHR came in response to complaints filed since 2012 by two lawyers with the Forest Peoples Programme, an international organisation that works with forest peoples in South America, Africa, and Asia, to help them secure their rights. It represents a crucial step in order for the case to eventually to make it to the Inter-American Court of Human Rights, based in the Costa Rican capital, San José. The Court and the Washington-based IACHR are the Organisation of American States (OAS) human rights system. The IACHR resolution, issued Apr. 30, stressed that the situation is grave and urgent, and that the damage caused is irreparable. It gives the Costa Rican government 15 days to deliver a report on the implementation of the measures it called for. Besides demanding guarantees for the lives and personal integrity of the members of the Bribri and Teribe communities, the IACHR ordered the government to reach agreement on the measures with the beneficiaries and their representatives, and to investigate the violent incidents. “This is a preliminary stage that would precede an eventual trial; the IACHR issues precautionary measures while it decides whether the case has merits to be taken to the Inter-American Court,” Professor Rubén Chacón, a lawyer who is an expert on indigenous law at the University of Costa Rica, explained to IPS. In his view, the violence against indigenous people has waned, but the authorities are failing to take advantage of this period of relative calm to tackle the roots of the problem. However Chacón, who represents Sergio Rojas, one of the leaders of the indigenous peoples’ effort to recover their ancestral territory, acknowledged that things have changed. “If it weren’t for the willingness that the government is currently showing to some extent, the threats would be worse now than they were two years ago,” said Chacón. 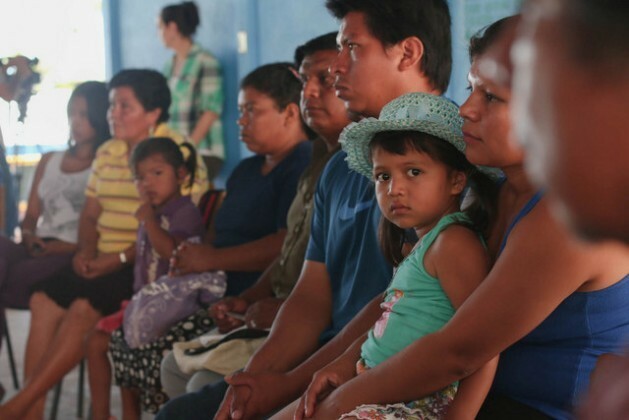 The IACHR precautionary measures have come on top of international calls for a solution to the violence plaguing the indigenous people in Salitre, Térraba and other communities in Costa Rica, where 2.6 percent of the population of 4.5 million are indigenous people. During a July 2014 visit to the country, United Nations Secretary General Ban Ki-Moon met with 36 leaders of different indigenous peoples, who described the hardships they suffer due to the authorities’ failure to enforce the laws that protect them and to take a hand in the matter. In March 2012, then U.N. special rapporteur for the rights of indigenous peoples James Anaya visited the country, and Térraba in particular, drawing attention to the violence against Costa Rica’s indigenous communities. According to Chacón, the visit played a crucial role because “in his report, Anaya outlined the extent of the confrontation between indigenous and non-indigenous people and the threats” in Térraba and Salitre. The government of Luis Guillermo Solís has taken up the challenge of solving the conflict over land in Salitre and assigned the president’s deputy minister of political affairs, Ana Gabriel Zúñiga, as an intermediary in the conflict in Salitre. Zúñiga told IPS that the government sees the IACHR’s precautionary measures as an endorsement of the work done since Solis took office in May 2014, which has included the launch of talks with the indigenous communities in the south of the country. Although the IACHR specifically mentioned the violent incidents of the second half of 2014, Zuñiga argued that they were the result of a long-seated problem that cannot be solved in a few months. “The conflict that broke out in July is due to a historical problem that has not been resolved. When we assess the situation, the most serious events occurred in 2012, like the branding with a hot iron rod,” she said. The roughly 100,000 indigenous people in Costa Rica belong to the Bruca, Ngäbe, Brirbi, Cabécar, Maleku, Chorotega, Térraba and Teribe ethnic groups, according to the 2011 census, living in 24 indigenous territories scattered around the country, covering a total of nearly 350,000 hectares – around seven percent of the national territory.